Home > News > How your creditworthiness is calculated — how you can raise your credit score. 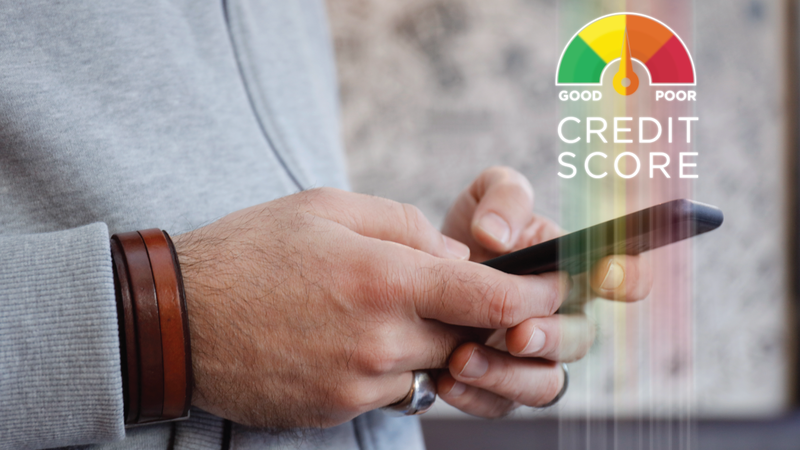 How your creditworthiness is calculated — how you can raise your credit score. Your credit score is more than just a three-digit number. Lenders use your score to decide whether or not to lend you money and to determine the interest rates you’ll pay on your loans. The health of your credit score can have a huge influence on whether you’re approved for a loan or if you can lock in a lower interest rate. Who rates your credit, and how is your score computed? Your credit history is gathered and reported on a monthly credit report by three nationwide credit bureaus: Transunion, Equifax and Experian. Your credit score is generated by an algorithm based on the data included in this report. Among the several factors used to calculate your score, your payment history, the length of your credit history and the amount of debt you owe are all important. However, consideration is also given to the number of new inquiries made into your credit history, the manner in which you’ve used your credit and the types of credit accounts in your name (auto loans, mortgages, personal loans and revolving credit card accounts, etc.). Different lenders may use different credit scoring models to assess your credit risk. According to the Fair Isaac Corporation (FICO), 90 percent of lenders rely upon a FICO credit scoring model. Because there are several different FICO models, your FICO score can vary from one lender to another. Moreover, when assessing your credit level risk, lenders consider more than your credit score — they also weigh several other aspects of the FICO model. FICO credit scores range from 300 (poor) to 850 (excellent). The higher your score, the lower your credit risk. It’s important to realize that your credit score can change quickly as the data in your credit report changes. You’re constantly making transactions that can affect your score. Opening and closing credit card accounts, missing a payment or even paying off debt can all raise or lower your score. Your credit score has a direct impact on the lending process. A low score could potentially lead to credit denial or higher interest on a loan. However, your credit score isn’t the single determining factor in such decisions. Most lenders also consider payment history, length of employment, income, underwriting guidelines, the reason for the loan and other factors in this process. Thus, you could still get approved with a low credit score if other conditions are met. Or, you could have a good score and still get denied if other factors indicate you may have trouble repaying the loan. A credit denial letter will usually list the main factors influencing the lender’s decision. You are entitled to request and receive a free copy of your credit report (which will contain your credit score) once every 12 months from each of the three major credit reporting agencies, as specified in the federal Fair Credit Reporting Act (FCRA). In addition to keeping track of your credit, you should also check your report for errors and signs of identity theft, such as an unauthorized account being opened in your name. Be sure to report any inaccuracies you find and request corrections from all three bureaus immediately. Contrary to popular belief, checking your own credit score will not negatively impact it. However, avoid requesting your credit report from Transunion, Experian and Equifax separately — they all use one of the three methods above to provide your free report. Many people experience circumstances which can negatively affect their credit score. If this happens to you, don’t panic. Instead, take steps to improve your score by doing things like making sure your accounts are current, making payments on time and keeping credit card balances below 30 percent of your credit limit. And remember that not all debt is bad. Good debt is the debt you’ve accrued, managed well and paid off according to the terms of the lending agreement. Good debt establishes your creditworthiness. Take steps to make sure it doesn’t get wiped off your credit report. Finally, remember that building or re-establishing good credit is an ongoing process and that you don’t have to do it alone. We offer free financial counseling and educational classes for Members and non-Members.